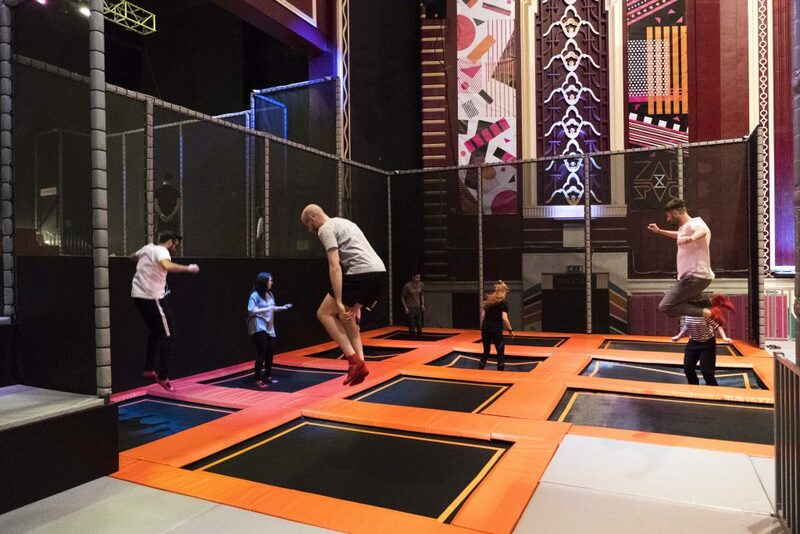 Freestyle Jump at ZAPspace gives you unlimited access to our 3 storey trampoline park for a full hour of fantastic fun. 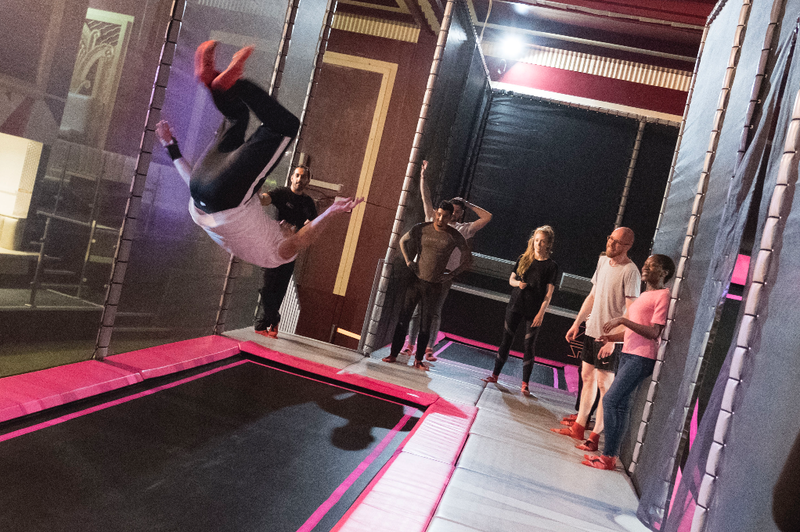 Whether you want to try your hand at being the king of the Power Tower, take on your mates at Dodgeball, or defeat your opponents on the Battle Beam, it’s completely up to you! Jumpers must be aged 4 or over. Our Freestyle Jump sessions cost just £12.00 for an hour of bouncing fun! Coming for more than one hour? Visit us at reception and we’ll give you the second hour for only £9.00! Want to visit with a group of 15+? Take full advantage of our large group discount! you could get 20% off your session! We’ve been nominated by Hoop as one of London’s favourite places to keep kids active. If we’re your favourite too, please vote for us. There are prizes to be won! Valid coloured ZAPspace wristband must be worn at all times during the session. These will be issued at reception on arrival. All participants must be reasonably fit and healthy and must weigh less than 18 stones/130kg. For insurance reasons, jumpers arriving/booked in after the safety briefing has commenced will not be allowed to participate until the next briefing takes place. This could result in the customer losing some of the jump time. If you have any concerns, we advise that you visit ZAPspace prior to your booking and speak to a member of ZAPspace staff. Anyone that does not meet these requirements will not be allowed to undertake the activities. It is your responsibility to ensure all members of your party meet these requirements. No refunds or compensation will be payable by ZAPspace in the event that any participant is not permitted to, or decides not to, undertake or complete the Activity for any reason. ZAPspace shall be entitled to cancel your booking at any time. In the event that ZAPspace decides to cancel your booking it shall use its reasonable efforts to notify you as soon as possible. You shall be entitled to a full refund in the event of cancellation. No other compensation shall be payable.